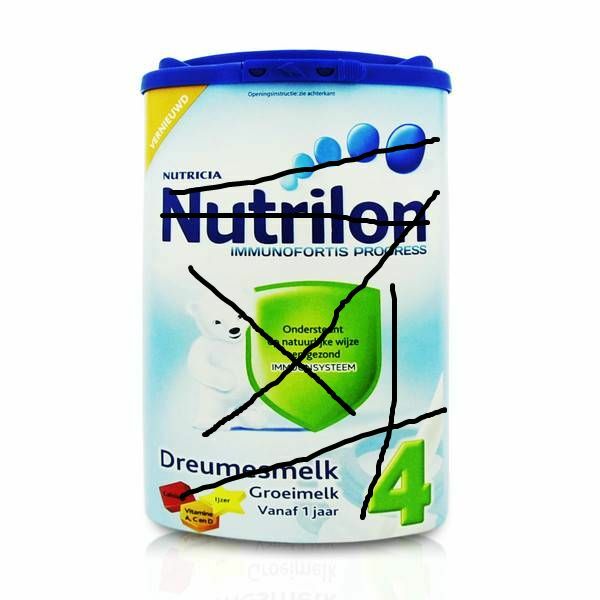 For preschool (age> 12 months) Nutrilon Groeimelk Toddler four growth milk with all the necessary nutrients in the right proportion. This milk to drink. Both cold and warm Content: 800 grams. Nutrilon Toddler Milk 4 Pronutra with a growth of milk, specially tailored to the needs of children of 1-2 years. Nutrilon with Pronutra contains a unique blend of ingredients that support the immune system and brain development. It contains vitamins A, C and D. In addition, it contains iron, because research shows that 68% of Dutch children (1-3 years) receives less iron than is recommended. It also contains omega fatty acids DHA / AA. Ingredients: Contains Immunofortis ®, a proprietary blend of prebiotic fiber, 28 important nutrients for optimal growth and development, good fatty acids in the right proportion and less protein and salt than regular milk.